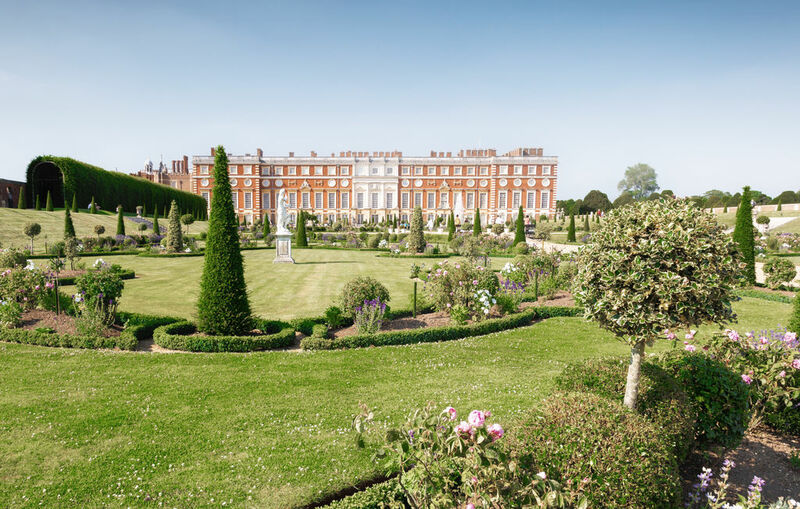 The 20ha of gardens at Hampton Court bear witness to various royal patrons from the houses of Tudor, Stuart and Orange, and their landscape architects and gardeners. Over the centuries, they have seen various schemes implemented, making today's gardens multi-faceted. Interlacing box hedges and clumps of thyme, lawns with statues, an enormous vine, the 3.5ha triangular maze, a chestnut avenue... A veritable trip back through the ages.